It seems hard to believe but it is more than 3 years since I read Jamie Ford's excellent debut novel Hotel on the Corner of Bitter and Sweet. Ever since that time I have been waiting with a high degree of expectation for his follow up effort. Once again, Ford has chosen to set his story in Seattle and to feature Asian characters in difficult situations. Whereas in Hotel it was World War II Seattle, this time he has cast his eye further back to the 1920s and 30s. This was a time of tremendous change and upheaval: the fledgling movie industry is changing entertainment in a way that continues to develop even now, the stock market crash is on the horizon, there is prohibition and the Charleston is the dance of choice. For anyone who is of a minority race though and particularly for a woman without societal support, this is a hard time to get by and it is this element that provides a lot of the background for the story. The story starts in 1934 when we are introduced to a young boy named William Eng. He lives in a Catholic orphanage, and he is destined to live there until he comes of age. He believe that his mother is dead, has never known his father so he cannot be released from the orphanage into their care and he knows that no one is going to want to adopt a Chinese boy. He has only a couple of friends in the home - Charlotte, a blind girl with a traumatic past, and Sunny, a native American boy. As a birthday treat, he goes to the movies with some of his classmates and whilst there he sees a woman on the big screen who he believes could be his mother. When he finds out that she is travelling to Seattle, he is determined that he is going to get to meet her and so he sneaks out to the theatre. 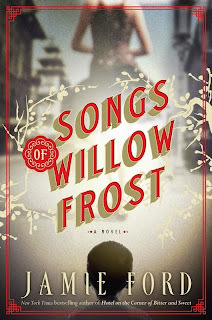 When he does meet Liu Song Eng, who is now known as Willow Frost, we hear her story of how she came to be a single woman with a child, considered to be a fallen woman by everyone in her community, and how it was that she gave William up. If there was one word that I would use to describe Willow's life it would be depressing. When Willow's mother dies, her lecherous husband Uncle Leo not only brings in his first wife who treats Willow appallingly but he also makes advances on her. It is a time where a woman has no rights, so Uncle Leo can take all of the money that she earns and she has no recourse at all, and if she loses her job singing for tourists it is highly unlikely that she will be able to easily gain another. Once Willow gives birth to William, she is determined to keep her baby, and she has high hopes of being able to achieve her dreams of a life with a debonair man who pays court to her named Colin. With the effects of the Great Depression being felt at every level of society, and when dream after dream is destroyed Willow gets to the point where she feels like there is no other way out but to give up her child. One of the details that I found fascinating in the narrative was the idea that a young Chinese woman could lose her American citizenship if she married a Chinese national. This was something I hadn't heard of before. I know when I read a book set in Melbourne I love the idea of seeing the familiar places and names. There is no doubt that Ford has done an incredible amount of research into historical Seattle so if you are familiar with that city I imagine that there would be an additional degree of impact for you. Similarly, there is a lot of fascinating details about the young film making industry and the films that were being filmed in Seattle during the 1920s. Something I did know but had reiterated through the story was the way it was difficult for any minority actor to get a break in the movies when so many of their roles were played by caucasian actors. There were elements though that didn't work as well as I would have liked. I felt that there wasn't a lot of nuance in relation to some of the secondary characters. Uncle Leo was an out and out villain without a single redeeming feature. His wife felt like a caricature rather than a real character as did some of the nuns and the social worker sent to judge Willow on how well she can provide for her son both financially and morally. I didn't feel as though I engaged as much with the characters as I could have which is a bit of shame because there was a lot to like in the book. I just wish that I had of been able to get lost in the world that Ford has created. From Jamie Ford, the New York Times bestselling author of the beloved Hotel on the Corner of Bitter and Sweet, comes a much-anticipated second novel. 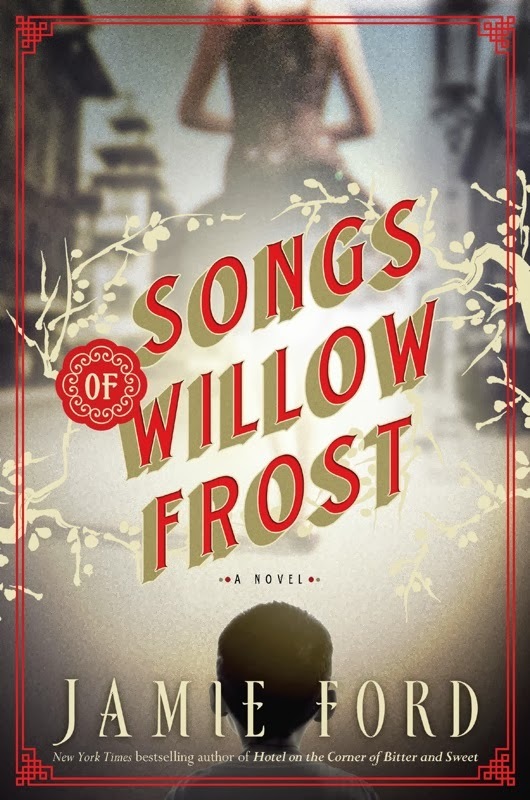 Set against the backdrop of Depression-era Seattle, Songs of Willow Frost is a powerful tale of two souls—a boy with dreams for his future and a woman escaping her haunted past—both seeking love, hope, and forgiveness. I am a little sad to see that you were somewhat disappointed in Songs of Willow Frost. I haven't yet read The Hotel on the Corner of Bitter and Sweet but I have had a few people strongly recommend it to me so when I saw this novel by the same author, I just had to say yes to reviewing it, which I will do late October. I am really hoping to find a gem in Ford's writing.